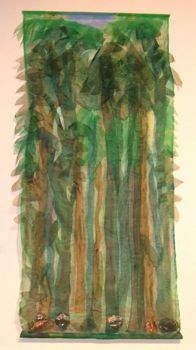 "Timeless Wisdom of the Forest"
This work was in the recent "Issues and Dialogues" exhibit at Linekona. 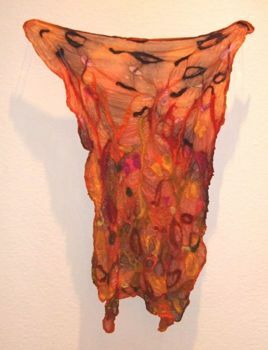 Transformation is the theme for my work in the 2009 Hawai`i Craftsmen's Annual Juried Statewide Exhibition. The silk and wool fibers meld together through a process of poking, massaging and kneading, transforming into a new fabric structure full of color and texture. The serendipity of the process produces unplanned consequences and I enjoy the intuitive interaction with the materials. Nature transforms itself constantly: waves rise and fall, creatures and plants grow, bloom or morph, and all of nature is a constant source of inspiration. I would also like to share with you the inspiring words of a telegram that Helen drutt sent me in 1982. It said "Have faith in your own uniqueness". This powerful statement continues to give me the faith and courage to live a creative life. Many of my works are about the island landscape, the jungles and oceans, animals and fish, the things that give me great joy. My vision of the world is rather child-like and naive and it is this vision that I try to communicate through my artwork. My work is more about play than struggle, both the making and the viewing should be an enjoyable experience. 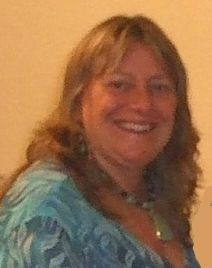 Liz Train has been a HC board member for many years. 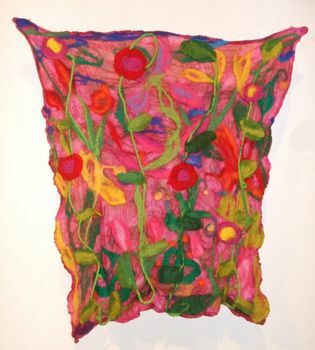 She grew up on Kauai and received BFA and MFA degrees from the University of Hawaii with a major in fiber. 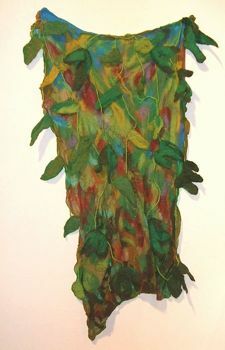 She has exhibited extensively throughout the state, completed several site specific commissions, and is in the collections of the SFCA and the Contemporary Museum. 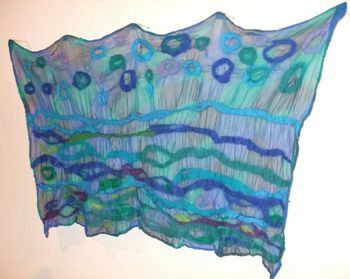 Liz has taught in many environments including the University of Hawaii, Honolulu Academy of Arts, Temari, and Artists in the Schools programs for elementary schools and worked in the education department of The Contemporary Museum. A past president of Hawaii Craftsmen, she created the Fiber Hawaii biennial exhibit in 1982 and has chaired many of the fiber exhibits since then.